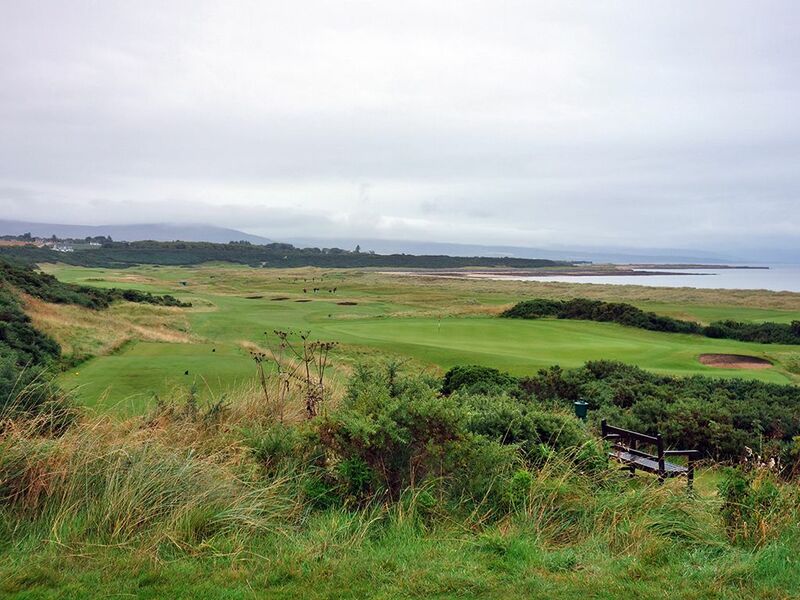 Course Website: Official Website - Visit Royal Dornoch (Championship)'s official website by clicking on the link provided. Accolades: Ranked 3rd in Scotland by Golf Course Gurus. 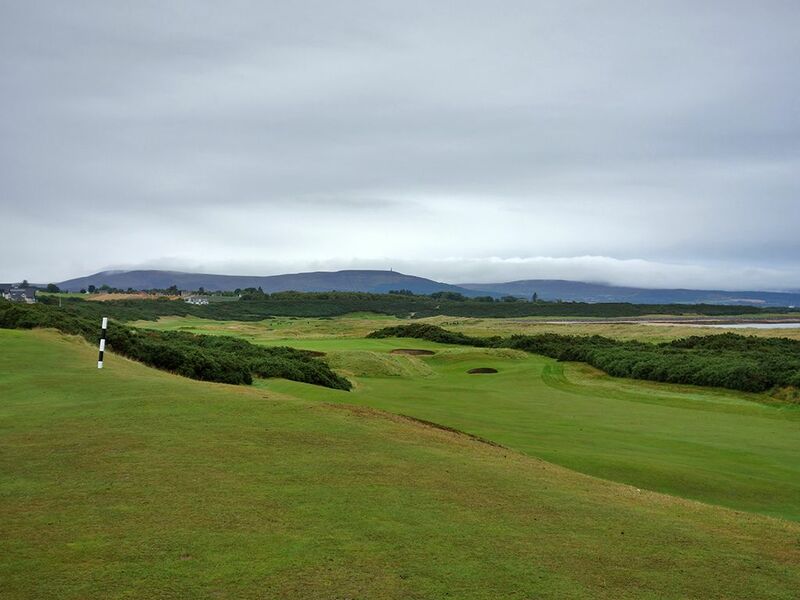 What to Expect: Located further north than the vast majority of courses in the world, Royal Dornoch makes the trip to the Scottish Highlands one of the most rewarding experiences in golf. The course is steeped in historical figures with Old Tom Morris crafting a sensational design which eventually became the place Donald Ross called home. The large sign displaying the course's namesake coupled with the collection of international flags next to the opening tee can't help but get you excited to tee it up on the links course many people place as the best on the earth. 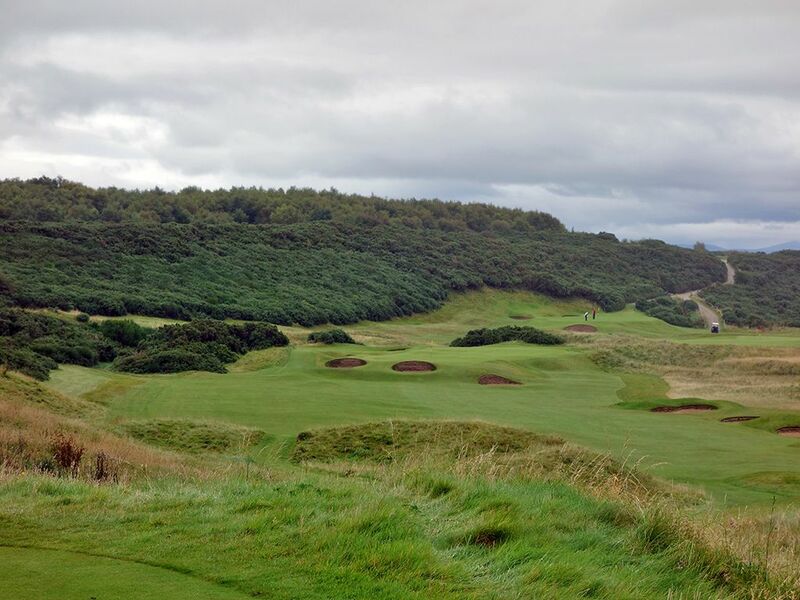 The walking only course offers a gentle handshake with the opening hole before delivering one high quality hole after another as is immediately evidenced by the par three 2nd hole that stands tall among the finest one-shotters in Scotland. The fairways are more generous than are found at other championship level courses which increases playability, pace, and ultimately enjoyment. 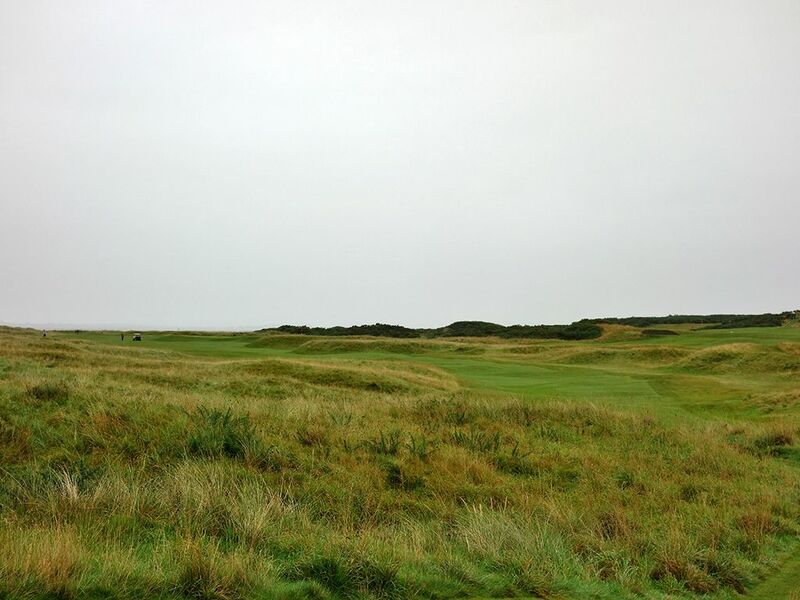 Leaving the fairway will require some luck to find your ball among the fescue and heather, but it isn't quite as treacherous as other courses you'll encounter in golf's homeland. The variety of hole designs is truly exceptional with a couple of blind shots that are far more rewarding than frustrating. The routing plays along the sea on the inward nine while the elevated outward nine boasts plenty of views courtesy of the dunescape. The runners up to the final holes on each nine, #8 and #17, are unquestionably two of my favorite holes in all of Scotland. Ultimately Dornoch is characterized by a beautiful blend of elevation changes, fascinating greens, and highly intriguing hole designs that manage to deliver challenge and fun. 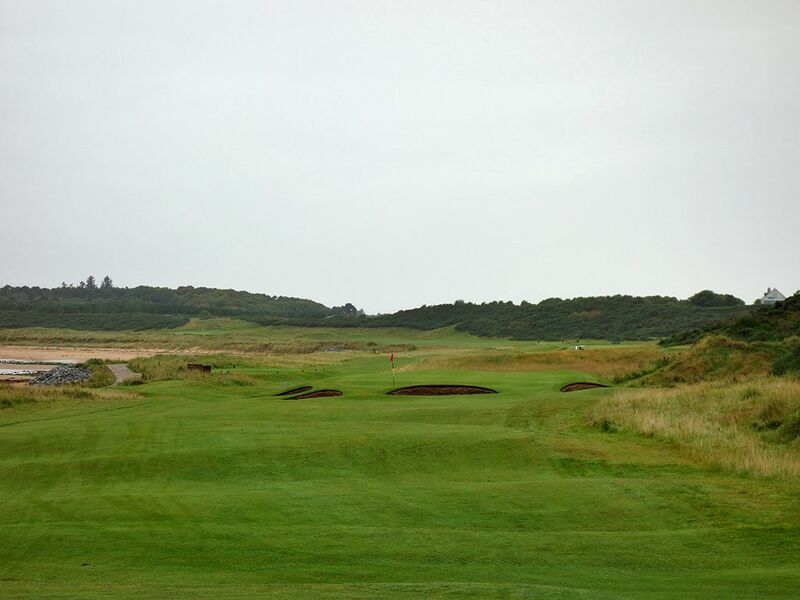 While the opening and closing holes are a bit weak compared to the quality of everything in between, Royal Dornoch is a course I could play everyday and never grow weary of it. Signature Hole: 17th (Valley) Hole – 417 Yard Par 4 – My favorite hole at Royal Dornoch and among my favorites in all of Scotland, the 17th is an absolute gem of a hole that put a grin on my face from tee to green. 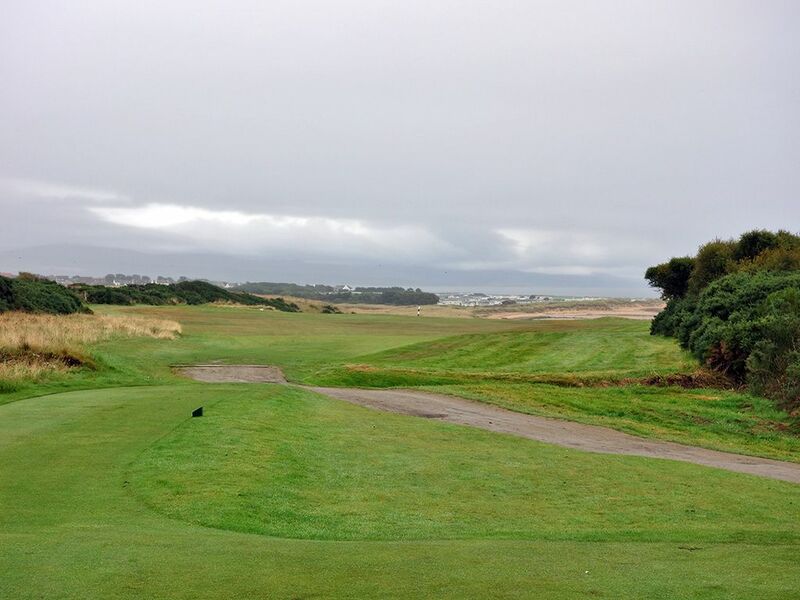 Players are greeted with fairway that falls out of view with gorse and the beach providing an impressive background. An aiming pole gives players a line to work with given the landing zone is blind, however hitting a bit to the left of the pole can generate extra roll down the hill and cut yardage off the hole. Beyond the aiming pole the fairway dives downhill and sweeps left with gorse framing both sides of the short grass and sets up an impressive setting and approach shot. The shot into the spacious bowled green is fronted by a large mound and a pair of bunkers that will cause you to take an aerial attack at the flagstick with the preferred miss being to the right where the slope in the green will feed the ball back to the middle. From the setting to the design features to the uniqueness of it all, the 17th is one of the great two-shotters you'll ever encounter. 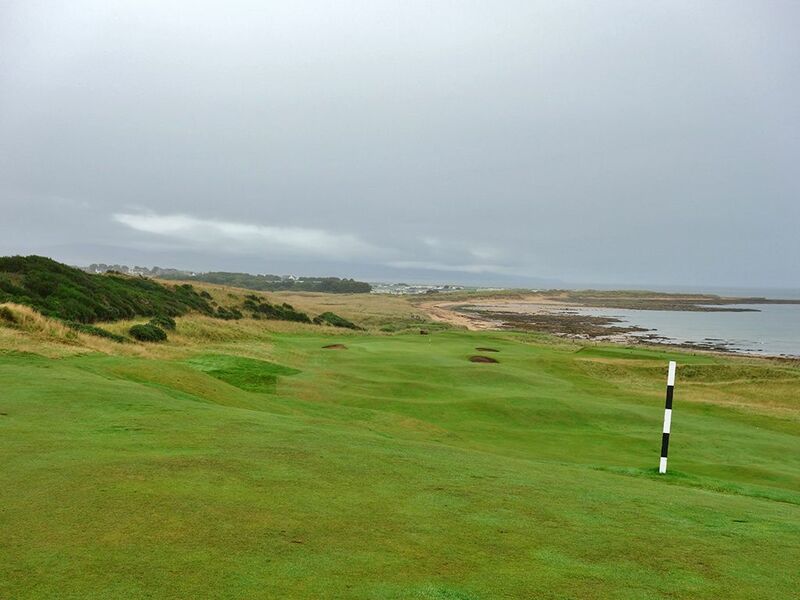 Best Par 3: 2nd (Ord) & 10th (Fuaran) Hole – 184 & 174 Yards – 2nd - Dornoch has one of the best collections of par threes that can be found anywhere so I can't help but feature two of them, including the first you'll encounter on this masterful routing. The famous domed greens that the course is famous for and that Donald Ross implemented at his designs is on full display for the 2nd hole which is one of the most unassumingly treacherous one-shotters you'll ever face. From the tee players see a raised green ahead of them with bunkers fronting the two corners and an inviting opening up the center. While the putting surface doesn't appear too daunting to hit, missing short, left, or right quickly results in a repelled shot and suddenly a precarious up and down scenario to contend with. 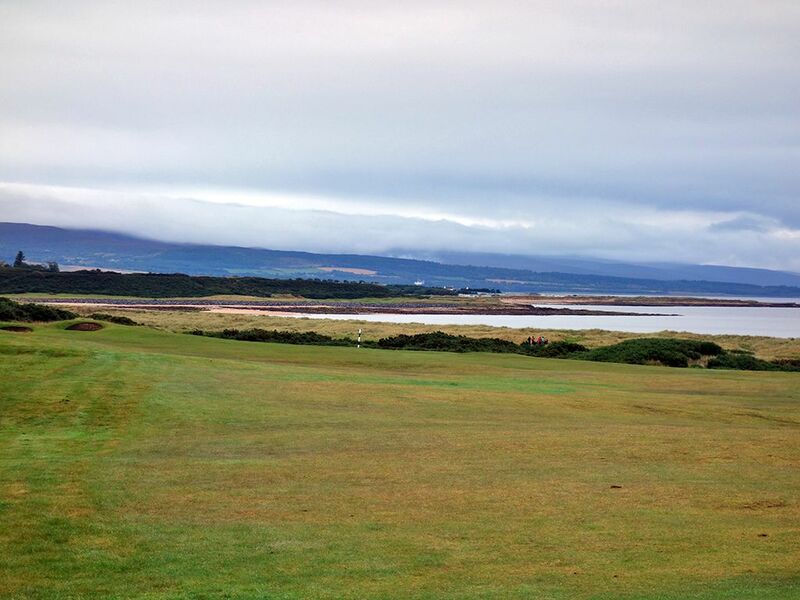 It is an attractive hole with plenty of bite and serves as an excellent early encounter to some of the brilliance of Dornoch. 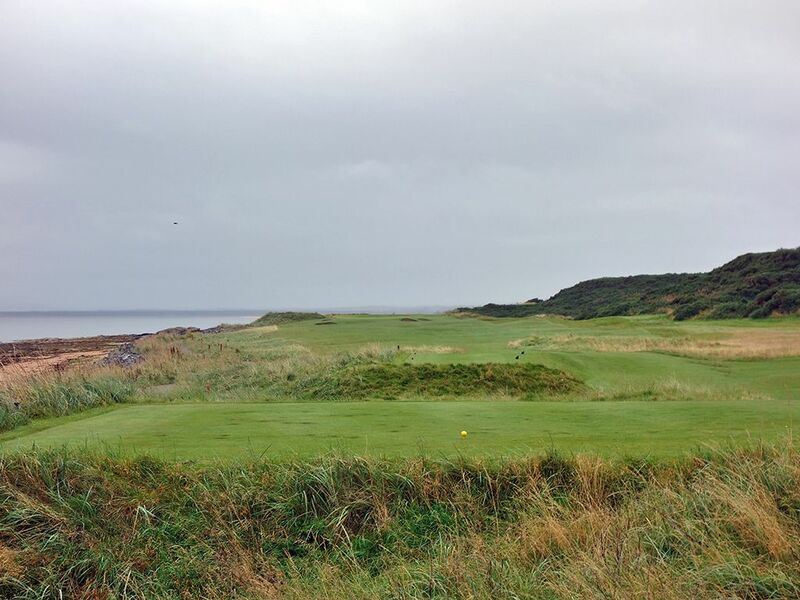 10th - The back nine starts with a beautiful par three that plays along the coastline. The green is fronted by a half ring of bunkering that add both to the challenge and aesthetics of the hole. A pin in the front third is particularly challenging to stick close since the bunkers fronting the putting surface are such major factors to consider, but a spinning shot that catches the tier can zip in tight if you have your 'A' game going. 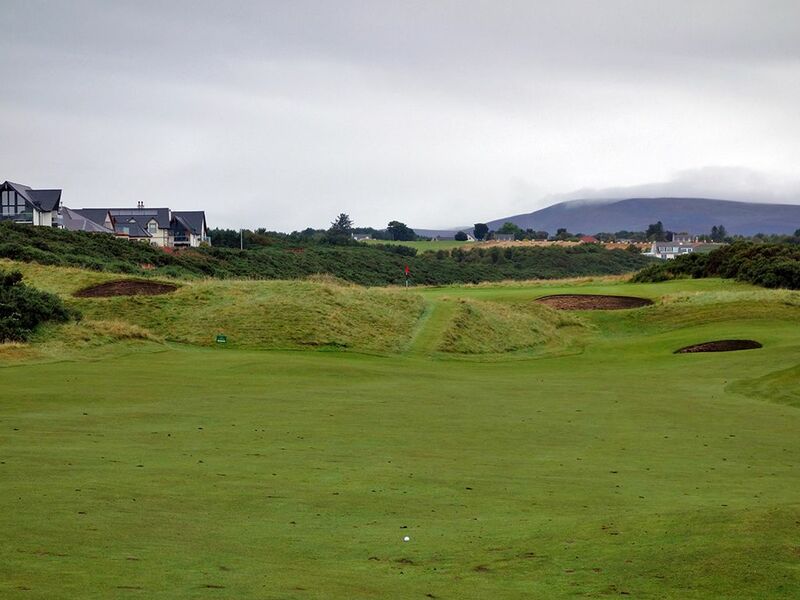 The back nine at Dornoch is nothing short of brilliant and the 10th is a great start to why. 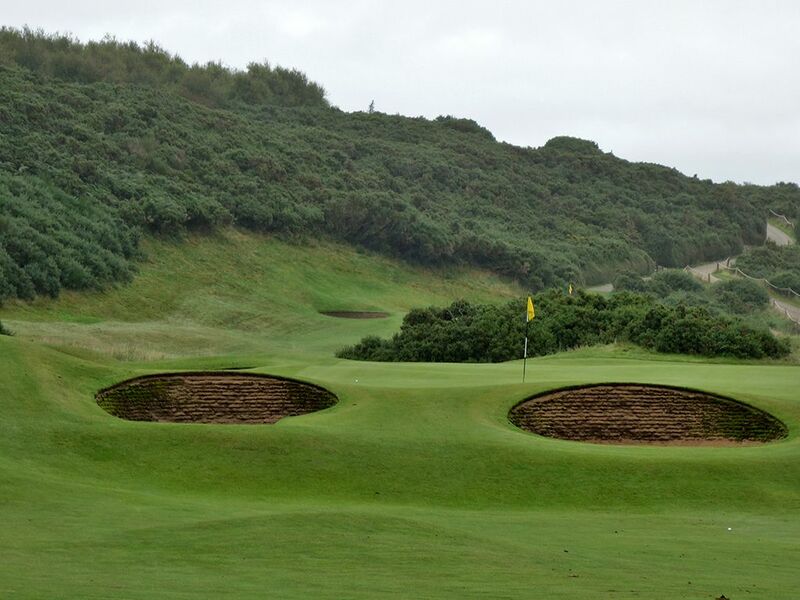 Best Par 4: 8th (Dunrobin) Hole – 434 Yards – Royal Dornoch features two notable blind tee shots that result in exhilarating downhill rushes towards their respective greens, and the 8th hole features the first. A tee shot that reaches the barber pole at the end of the first green will tumble down a steep hill to the lower fairway and set up a wedge into the green. Into a headwind players may not reach the hill and be left with a lengthy approach downhill to the green that is protected by a trio of bunkers. The view from the top of the hill is impressive to say the least with the coastline creating an inspiring backdrop to an exciting approach shot. With the extra roll you'll get going down the hill, the 8th sets itself up as a great birdie opportunity as the approach shot distance should be right in your wheelhouse. Regardless of what score you put on your card, this is just a flat out fun hole to play. 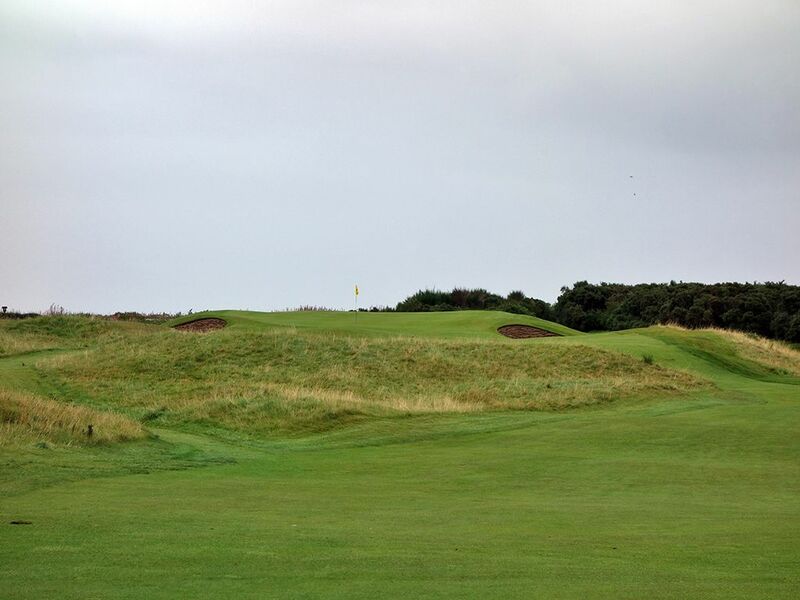 Best Par 5: 9th (Craigliath) Hole – 529 Yards – After eight straight holes that take players away from the clubhouse, the final hole of the outward nine reverses direction and starts the routing back towards home. 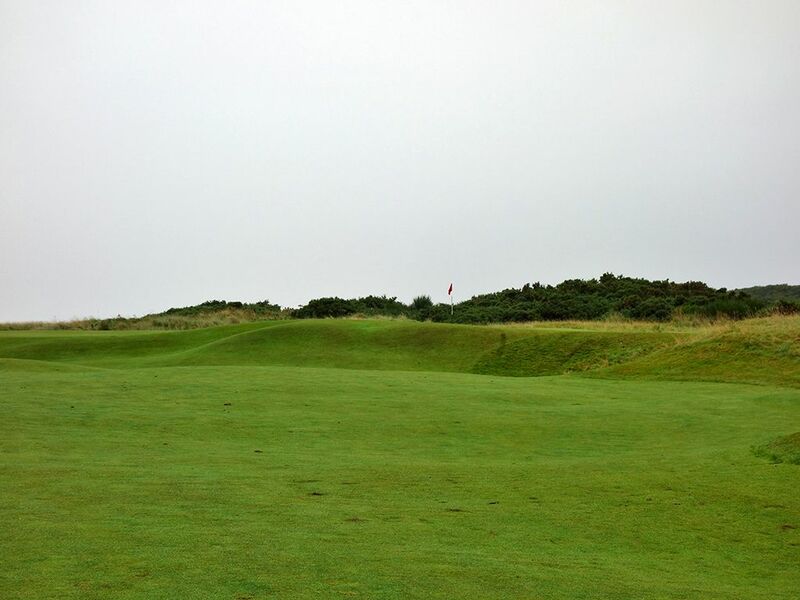 One of only two par fives at the course, the 9th is an impressive offering with a large gorse covered dune setting the right boundary and the beach creating the boundary on the left. The wide fairway encourages players to let loose the cannon off the tee and try to set themselves up for reaching the green in two. There aren't any bunkers that come into play until the lone fairway bunker positioned right of the short grass about 65 yards from the green. The putting surface is protected by four bunkers around the front half of the green with the 10th tee lying just beyond the back edge. When you get to this hole soak in the fact that you are at one of the best links in the world with beautiful surroundings . . . and then finish the front nine with a birdie. Birdie Time: 5th (Hilton) Hole – 353 Yard Par 4 – Players are greeted with an elevated tee and wide fairway to attack on the short 5th hole that is featured as the 18 stroke index. The fairway tilts from left to right so favoring the left side will offer more forgiveness however the pin placement for the day should be the prevailing concern of where to place your tee ball. The raised green is fronted by a trio of bunkers but with a wedge in your hand you should be able to go pinseeking right over the top of them. Attacking the flag from the side of the fairway opposite of the pin position should give you the most leeway to work with. This is a great chance to get a birdie and one of the best tee shots on the course. Bogey Beware: 14th (Foxy) Hole – 445 Yard Par 4 – This hole may be named "Foxy" but it is a brute! When I played this hole I instantly made a note about it on my scored as the clear Bogey Beware hole and frankly there wasn't a close runner up. At 445 yards and playing back into the common southwesterly wind, this hole is tough to hit in regulation with an inviting green, but this green is far from inviting. After threading your drive down the fairway that is bordered by fescue on each side, you'll be faced with one of the toughest approach shots I've ever seen from the lengthy distance you'll likely be coming in from. 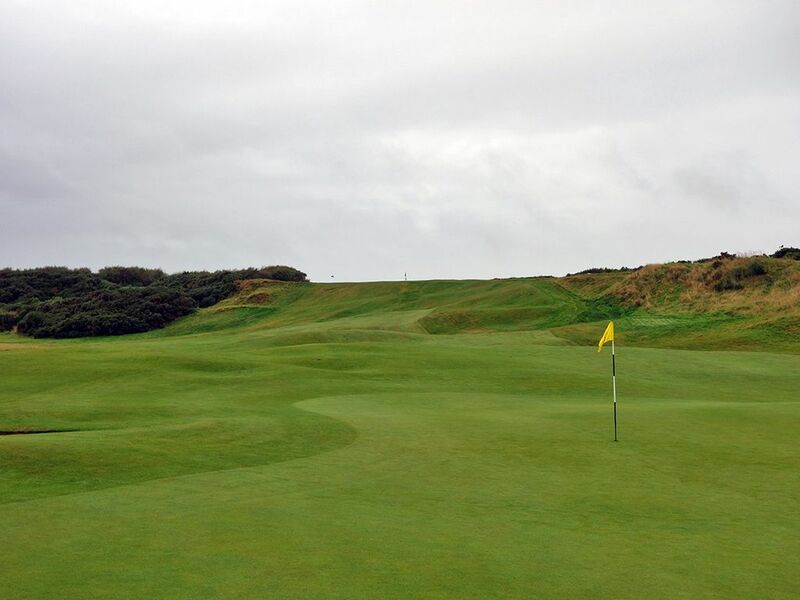 The green is raised and features a deep swell in front which makes running the ball up onto the putting surface a near impossible feat while aerial shots have to be spot on to carry the front of the green while not skipping off the back. The fescue carries all the way up to the right side of the green so there is no cheating from a different angle. You either hit a towering cut shot that lands like a butterfly with sore feet or you are going to miss this green. Good luck, you are going to need it!